Now, you may say, ‘Sounds like worrying to me.’ Close, but no cigar. Rumination tends to focus upon bad feelings and experiences from the past, whereas worry leans toward what may come. Well, to get us off to an unsavory start, the word “rumination” comes from the Latin for “chew the cud.” That’s right, as part of normal digestion an animal (the ruminant) brings up swallowed food, chews it, and swallows it. It’s very efficient. I mean, the animal can chow-down quickly and handle the chewing part while it rests. Actually, humans get in on the action, as well. Rumination disorder is typically diagnosed in babies. Though not as frequently, children and teens have presented with the disorder, as well. In psychobabble the setting is certainly different; however, the principle is the same. Rumination is a distress-response mechanism featuring repetitively and passively focusing upon the symptoms of distress – and their possible causes and consequences. Rumination is not only a troubling symptom of a more complicated depression, it’s a risk factor for those who’ve yet to be diagnosed. 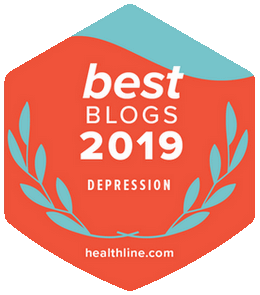 But rumination isn’t depression exclusive – it can present with the anxiety, eating, and substance disorders; as well as self-injurious behavior. Now, you may say, “Sounds like worrying to me.” Close, but no cigar. Rumination tends to focus upon bad feelings and experiences from the past, whereas worry leans toward what may come. Sorry, women – you’re more likely to be a “ruminator” than us guys. A team from Stanford University (CA, US) decided to study rumination using functional MRI (fMRI). The subjects were major depressive disorder (MDD) sufferers and those who had no psychopathology. While in the scanner, subjects were given tasks designed to induce rumination, as well as control tasks. During the rumination task, the MDD subjects had greater activation in a deep portion of the brain known as the anterior cingulate cortex (ACC). And wouldn’t you know it? The ACC is thought to be involved in mood regulation. It’s also a factor in obsessive-compulsive disorder (OCD). In fact, a procedure known as an anterior cingulotomy burns an area within the ACC and brings a degree of relief 50% of the time. And surprise, surprise – greater activation was observed in the amygdala, our fear and emotion headquarters. 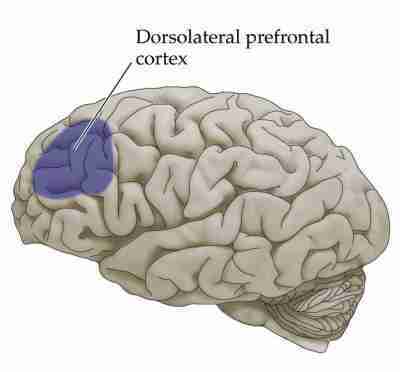 Of greatest interest was the increased activation noted in the dorsolateral prefrontal cortex (DL-PFC). And that’s a big deal because? The DL-PFC is prime turf for motor planning, organization, and the regulation of intellectual functioning and action. It’s also involved in working memory. So in theory, if the DL-PFC is being used primarily for rumination, does that sap its resources when it comes to its intended functioning? Yes, the involvement of the DL-PFC can lead to impaired thinking and problem solving. A belief that insight is being gained through rumination. A belief that one is facing chronic and uncontrollable stressors. Personality characteristics – perfectionism, neuroticism (leaning toward the nervous, anxious), and excessive relational focus (overvaluing relationships with others to the point where one makes huge personal sacrifices, no matter the costs). Often struggles to find solid solutions to hypothetical problems. Low confidence in their solutions and typically fail to implement them. Tend to reach-out to others for support. Unfortunately, they’re less likely to get it. It’s very difficult to coax depressive ruminators away from their negative thoughts. However, it seems that directing them to focus upon something else in the present can have a positive impact. So it’s a matter of distraction. Rumination is a fascinating psychodynamic. And if you didn’t know what it was going-in to this piece, you may have been repeating, “Oh, so that’s what that is,” as you were reading. It’s more common than many know. And it’s definitely Chipur learning material. If you’d like to do some independent research on rumination, do an Internet search for the work of Yale University’s Susan Nolen-Hoeksema. 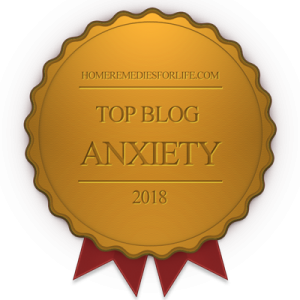 Ready to learn more about the mood and anxiety disorders? Hit the Chipur titles.